Wholesale 12 Can Cooler Bags, Personalized or Blank. Cheap, Prom,otional. Budget Prices for USA, Canada. 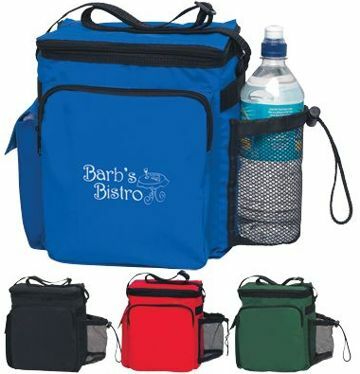 Bulk personalized 12 pack collapsible coolers with large front zippered pocket, adjustable shoulder strap and two side pockets. Water tight, leak proof and fully insulated. Two tone colors:4 colors with black trims. Free artwork design. We will send you a proof for your approval before production. Budget Prices in USA and Canada for wholesale personalized 12 Can Coolers.